Anyone who's come in the shop has probably noticed our nice little workstation in the back corner. If you've ever seen one of us toiling away at the table, you'll know that this is where we complete almost all of our smaller painting projects. 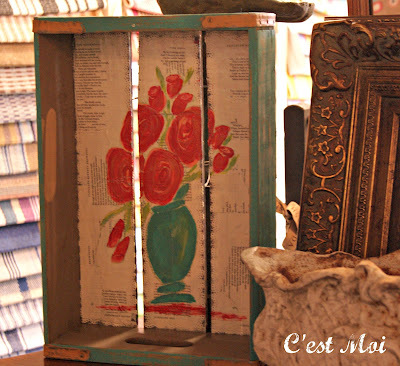 These craft boxes, for instance, are a great painting project for those who don't want to leap into a big commitment. You could paint them each in solid, coordinating colors or you can use our approach. 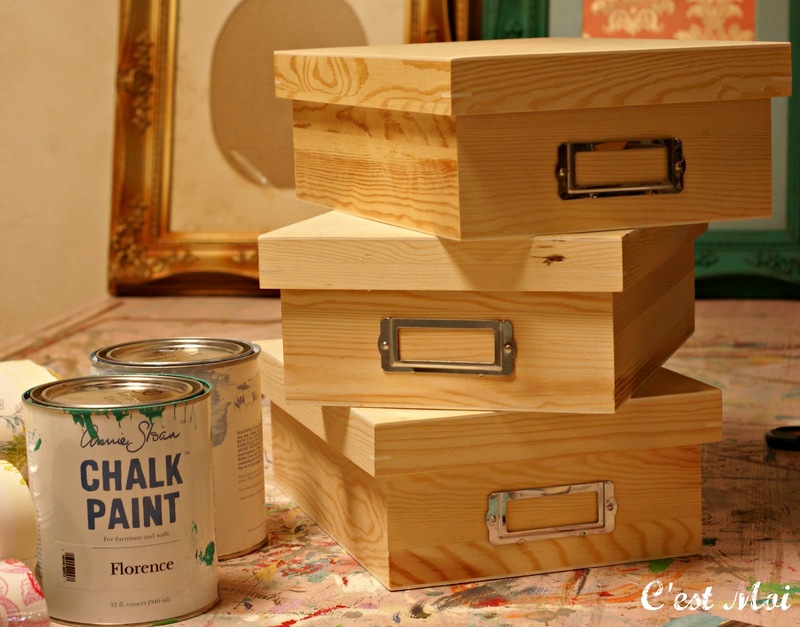 We'll reveal the final result when their complete, but there's no need to be traditional with such a quick and inexpensive project. 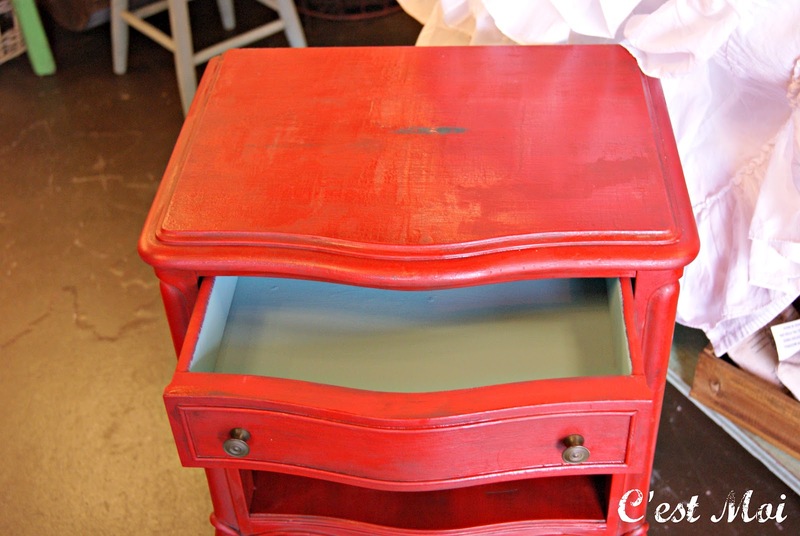 Try using three (or even more) colors on one box to really brighten things up! 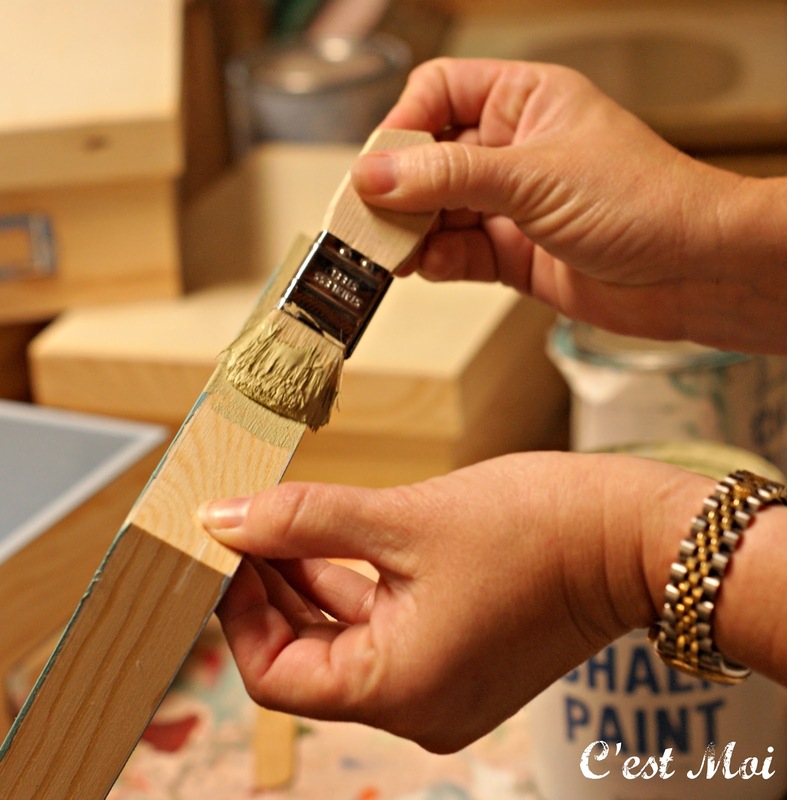 These 1" chip brushes are the perfect tool to try it with! Having several of these on hand makes changing paint colors easy. They're also fantastic for painting in small crevices or cutting in edges and corners. 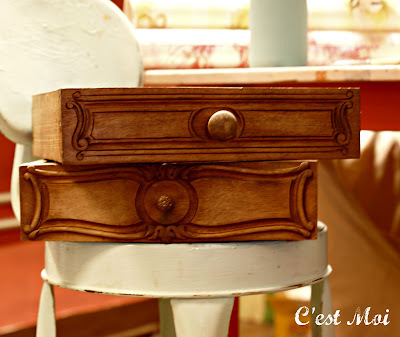 We'll definitely be using these brushes when we spruce up these drawers. 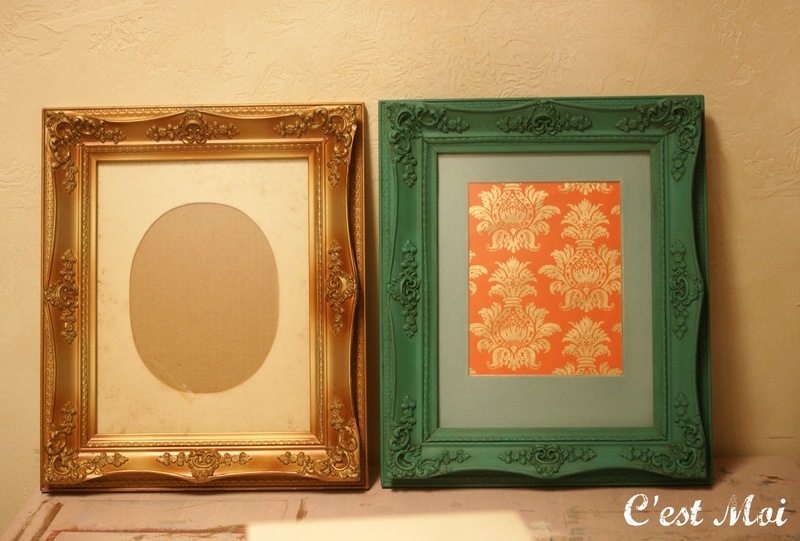 They've been waiting for a makeover, and we can't wait to give them a little more life! You can see from this picture just how much of a difference a little paint can make. 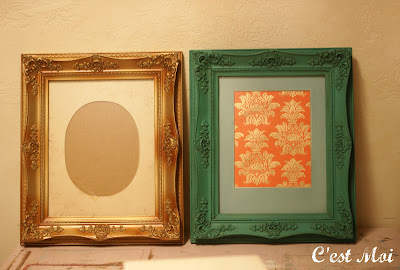 We painted both the frame and the mat, and they now highlight a beautiful Midori paper pattern. 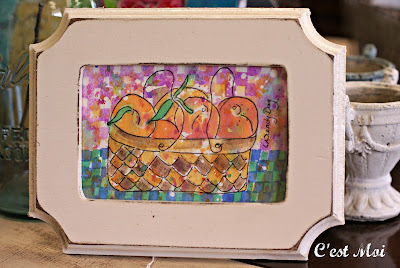 A quick, easy project that's easy to replicate at home! If you do decide to start a project, this might be your new best friend. 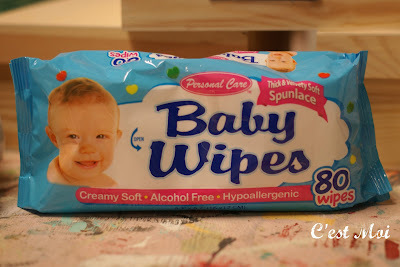 No fancy or expensive products here; baby wipes (yes, baby wipes!) 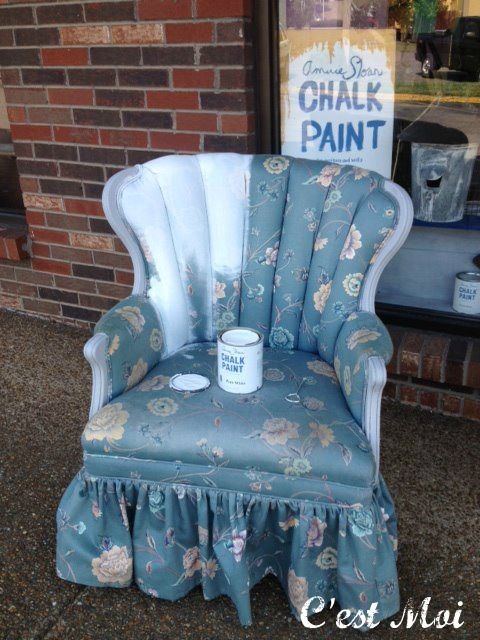 will clean CHALK PAINT™ right off your hands. Sometimes simple is best! 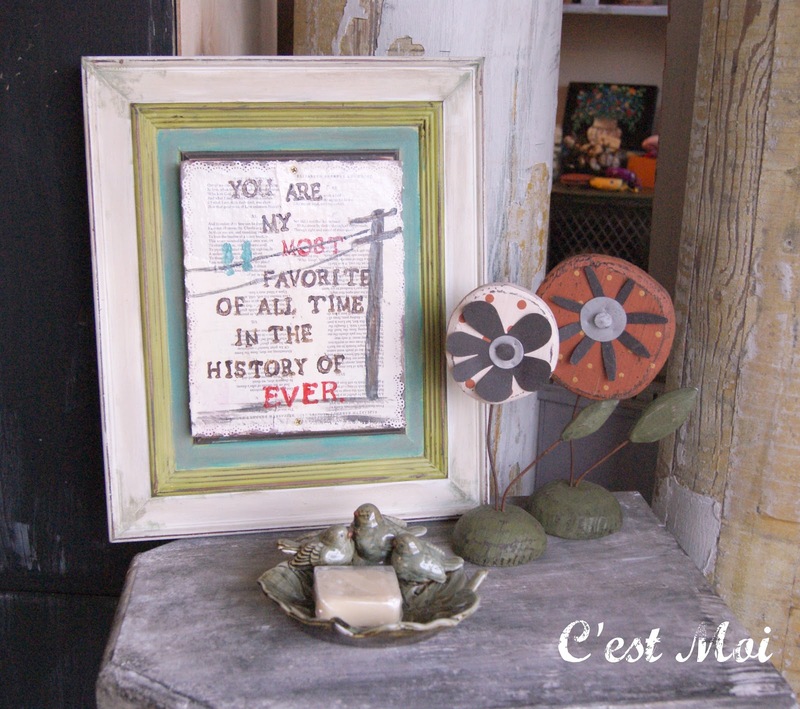 Our newest items from Waxing Poetic put a whole new spin on astrology. 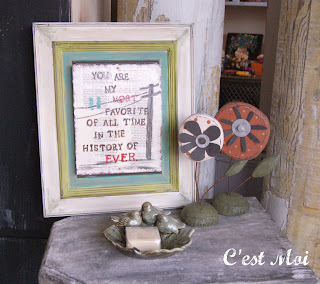 Are you always making friends? Loyal and generous? 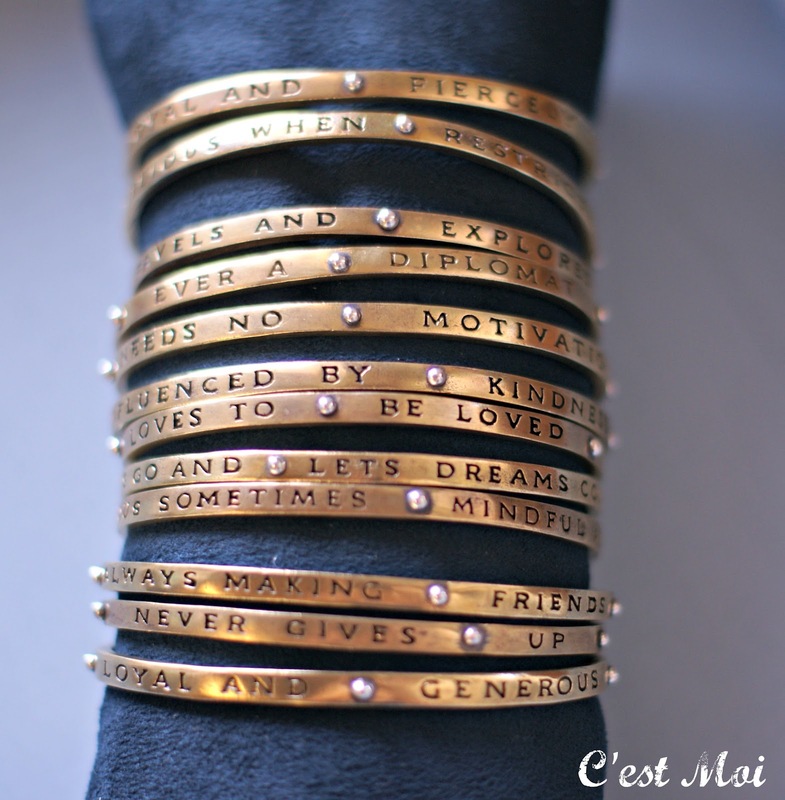 Influenced by kindness? 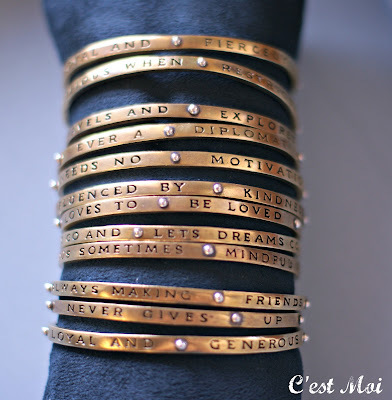 Then why not wear Planetary Traits Cuff to show your heart on your wrist instead of your sleeve? And we ended up with this beauty! While painted upholstery has been attempted before, it's never been this easy. No preparation or mixing paint with extenders. 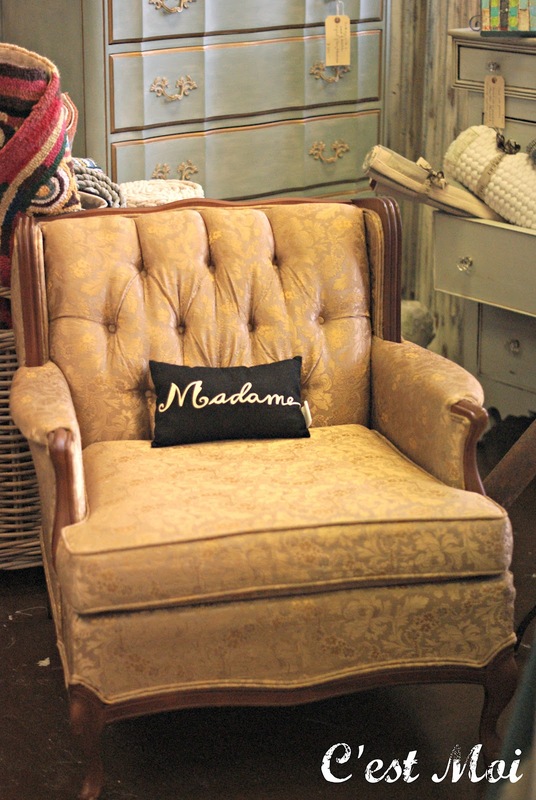 All you need is CHALK PAINT™, a brush, and some outdated fabric! 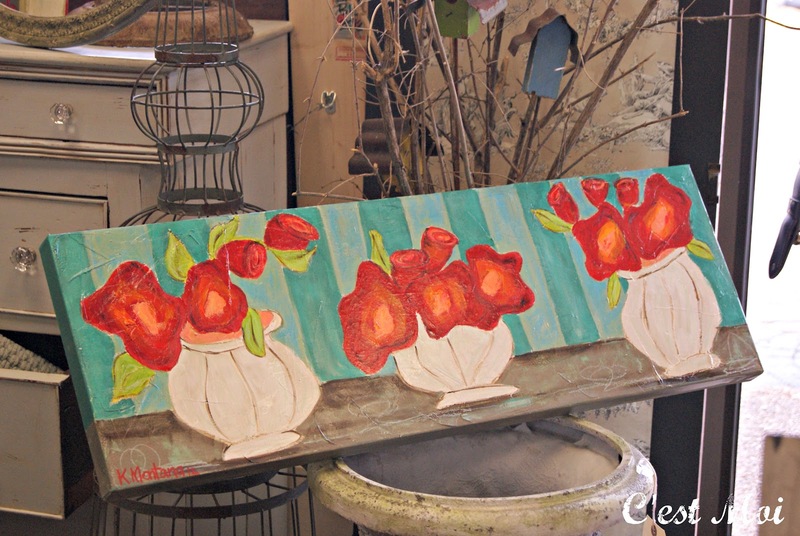 If you'd rather leave the painting to someone else, come to the shop and check out Wendy Day's newest art work. 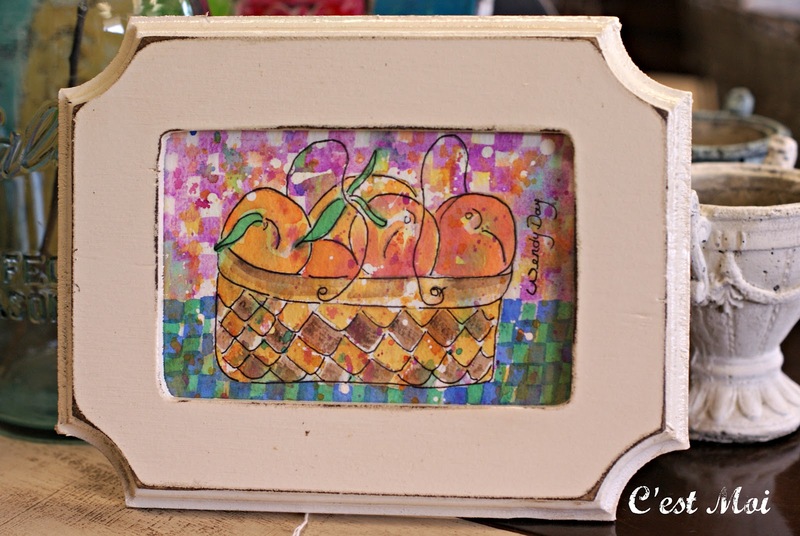 Her beautiful watercolor peaches are the perfect way to brighten up a room! You can also lighten and brighten with a solar Lid Light. 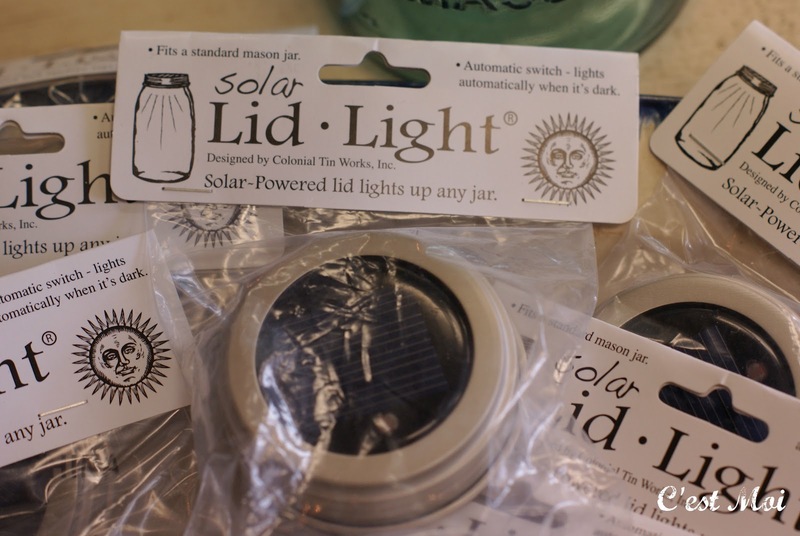 Fit it on top of any standard mason jar, turn out the lights, and watch it glow! This best seller creates beautiful natural light for backyard parties but can also be used as everyday decoration for patios, sun rooms, and more. We promised a makeover and here she is! 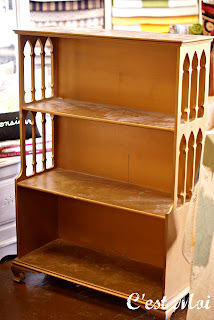 Remember when this little bookshelf used to look like this? Antibes Green and Florence perked her right up, so she's now worthy to display the fantastic new art work by Emily Little. This hall tree is the perfect piece to brighten an entryway. While Antibes Green and Florence create a bright and bold look, Pure White and Paris Grey are a classic combination. 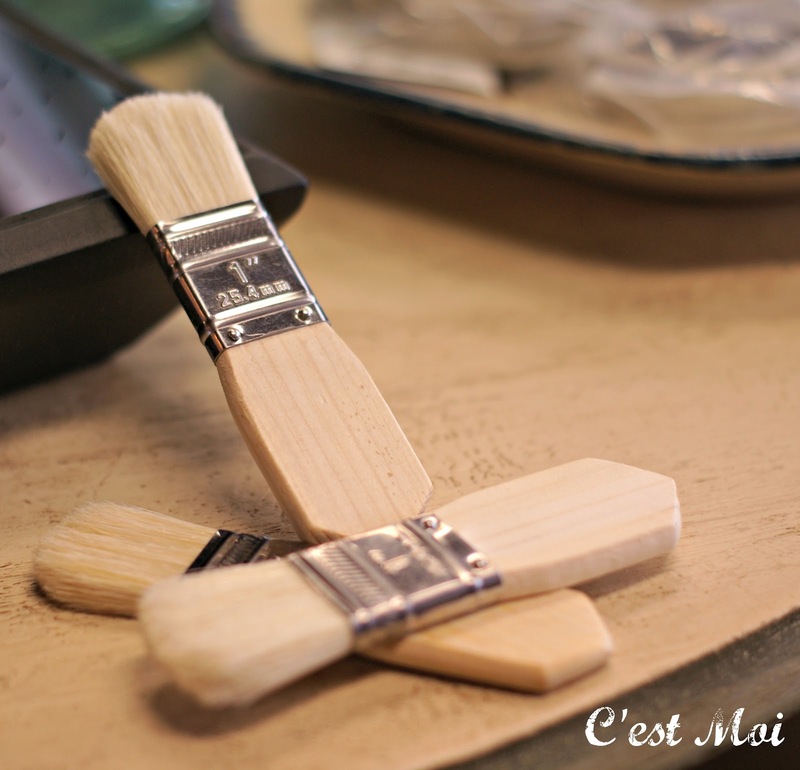 Their neutral tones create a beautiful neutral background for any decor. Too forward? Well, we thought we'd give it a shot. :) It'd still make a darling accompaniment for your kitchen. 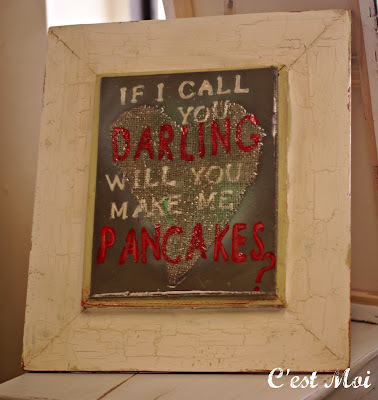 You might even get some pancakes out of it! Well, this little picture just says it all, doesn't it? We just don't know "who" we're saying it to! 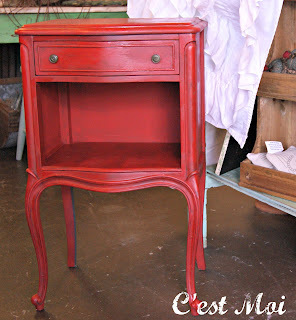 It could be this side table, which began as a hum-drum run of the mill piece. 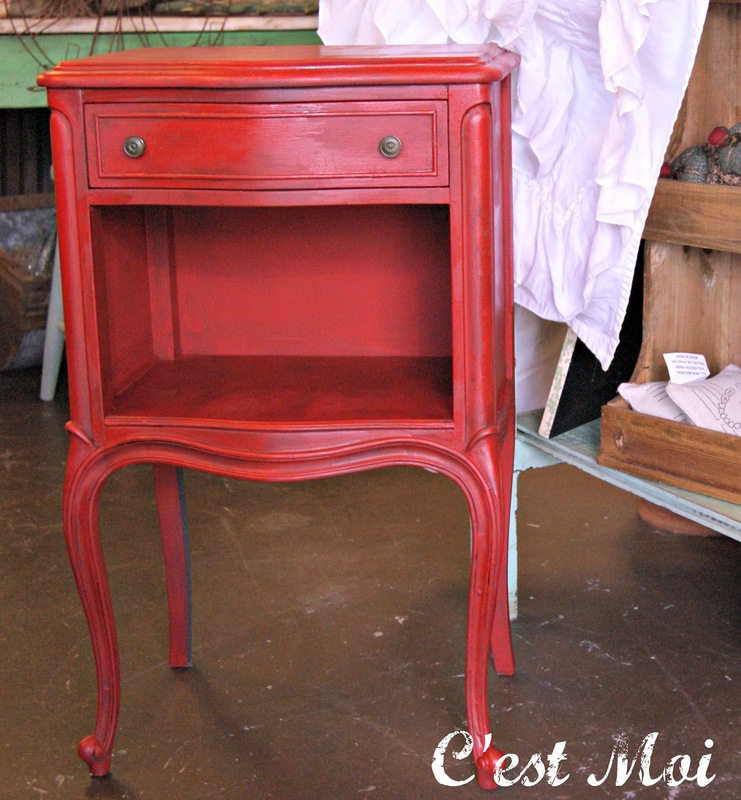 We spiced it up with CHALK PAINT™ in Emperor's Silk, and the dark wax on top toned it down a bit. That is, until she opens up and you get a peek inside! 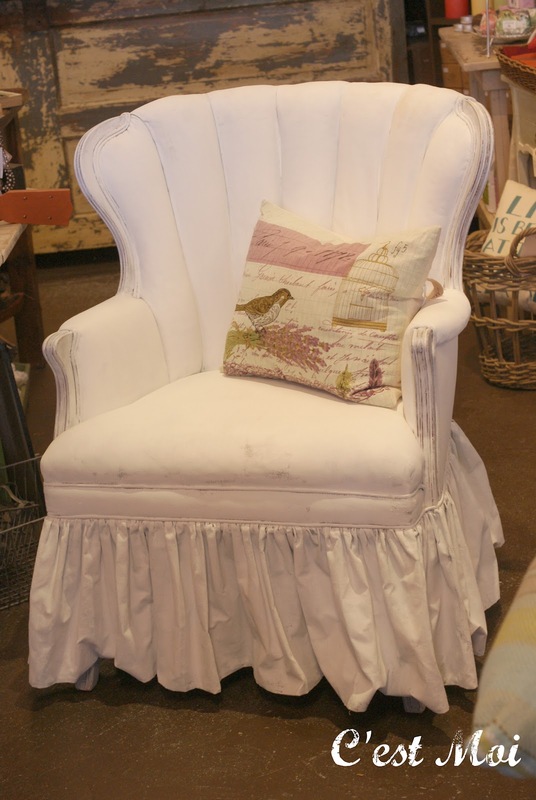 We love adding a little surprise pop of color here and there. Even when the outside is pretty bold itself! 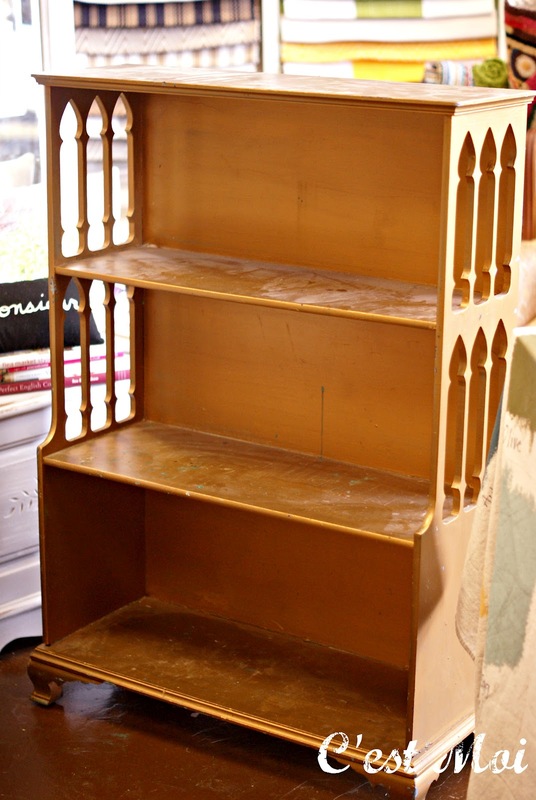 We can't wait to turn this small bookshelf around. 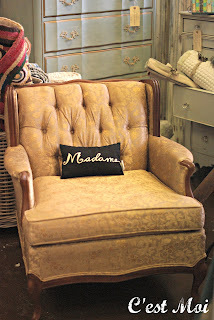 While the details on the sides are lovely, the gold color just doesn't mesh well with everything else in the shop. Do you have any ideas for colors? 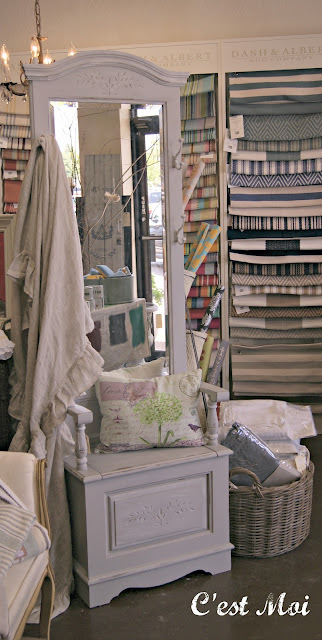 Something soft like Paloma or French Linen? Or should we go the other route and use a color like Henrietta or Greek Blue? We'd love to hear your ideas! Well, this is certainly the most unique item we've ever sold in the shop. 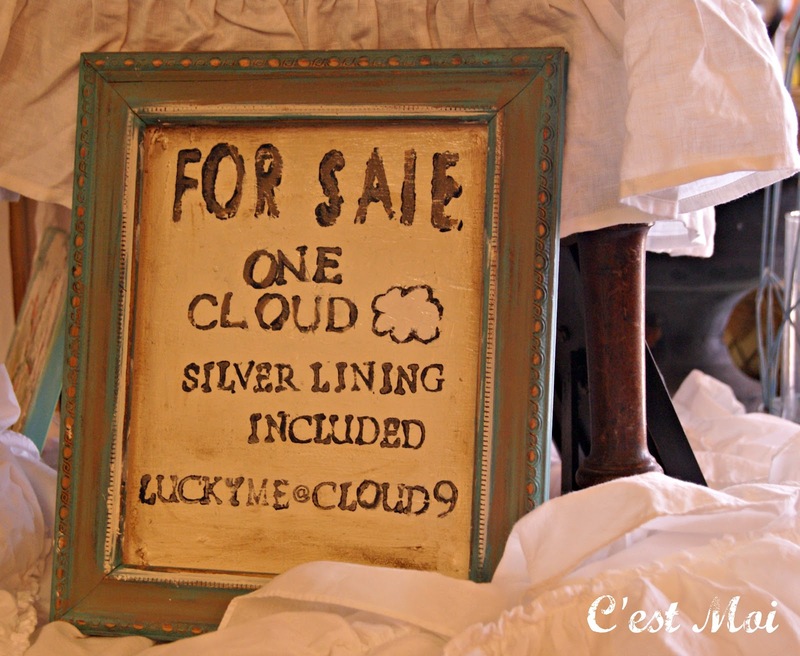 If you need to spend some time on Cloud Nine, we've got you covered. The silver lining comes with it; you can't beat a deal like that! 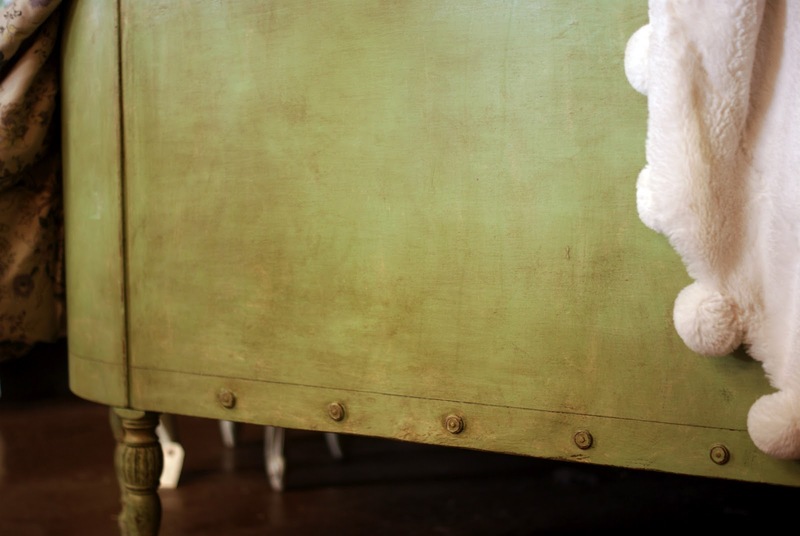 If you've been in the shop the last few months, you'll have seen our antiqued green bed. 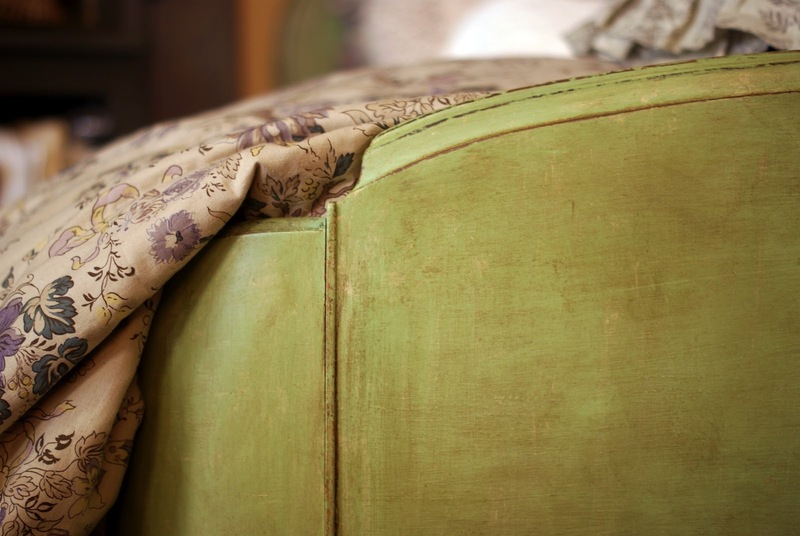 It started with a 50-50 mixture of Paloma and Antibes Green. That became the base coat. Then it was lightly streaked with Old White. The streaks were sanded a good deal to blend them into the green, then topped off with a good deal of dark wax and sanding around the edges and details. 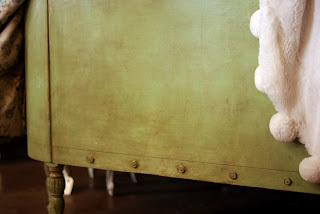 The bed itself is not very ornate, so this technique gave it a little character! 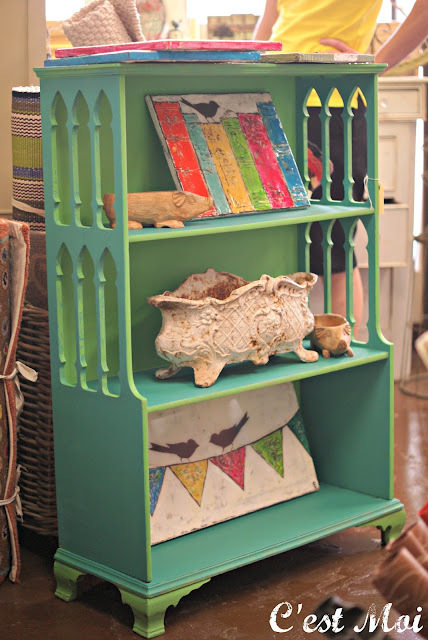 Finally, we'd love you to stop by and see our new bookshelf! 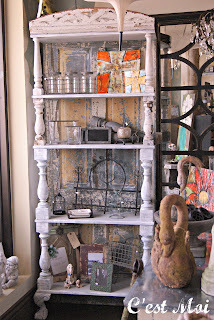 The back is made of an antique door with its original chippy painted finish, while the front was built around it. A little distressing made it all come together, so now it holds a few of our favorite things! We hope you're all having a wonderful week and staying cool!